Urban design is the process of shaping the physical setting for life in cities, towns and villages. It involves the design of buildings and establishing a process that makes successful development possible within the above mentioned province. Urban design appeals to people who are interested in more than just the design of a single building. They focus on a wide range of different users for different purposes, not only for the present but for years to come. Urban Designers arose from arguments between Architects and Planners. Architects would accuse planners of interfering with aesthetic matters about which they were not qualified to judge. Planners would accuse Architects of designing buildings solely as objects, with little attempt to take account of their context or of their likely impact on the surroundings. The fact remains that 84 per cent of any planning applications are drawn up by someone with no design training. The main mission of Urban Designing would be to create an environment that is both socially and economically successful. In a wide sense it helps in providing better public service but in a nutshell it helps create an identity to the community as a whole. 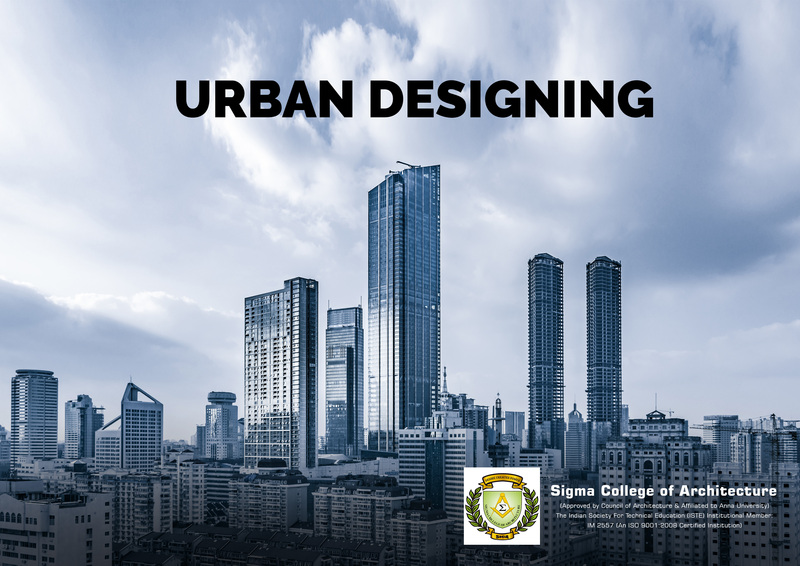 Here at Sigma College of Architecture, one of the Top Architectural Colleges in South India we nurture this skill in our students as a ‘must factor’.